served with traditional marie sauce, wholemeal bread and garnished with salad. served with wholemeal toast and salad. fresh crab served on toast, topped with cheese and black pepper, grilled and served on a bed of salad. with a homemade Yorkshire pudding. cooked with rosemary and thyme, served with mint sauce. complimented with homemade stuffing and apple sauce. pan fried with lemon, dill and parsley butter, and served with a parsley sauce. 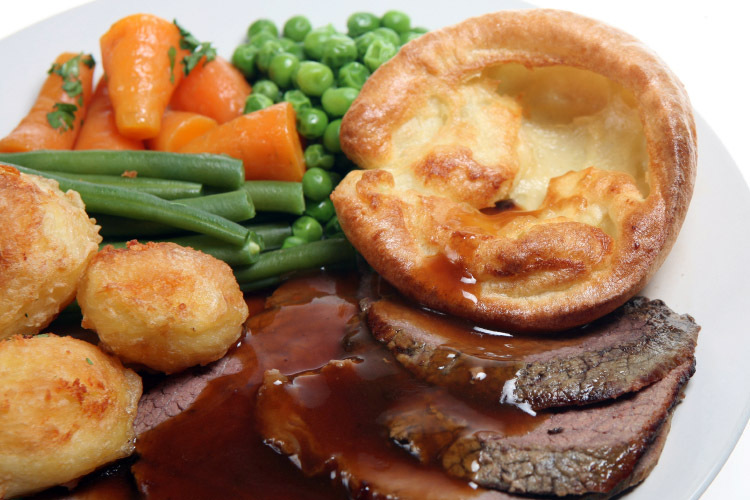 * All served with a selection of fresh vegetables, roast potatoes and seasonal potato.